Girl or Boy: small: wd- 2.35" x ht- 2.79" medium: wd- 2.61" x ht- 3.09"
Little ducks just don't get any sweeter than these little guy's! Quik to stich, as they are outline designs. 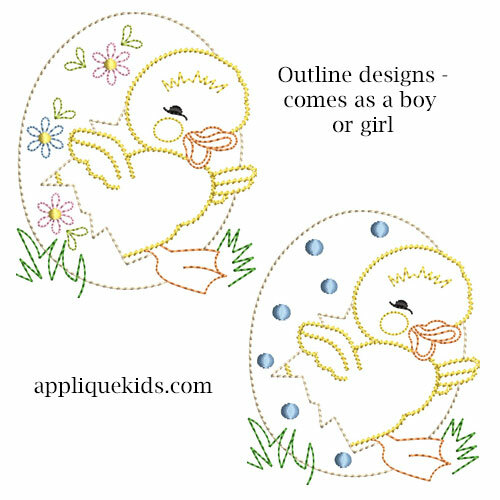 Perfect for Baby's First Easter or toddlers, bib, accesories, etc.